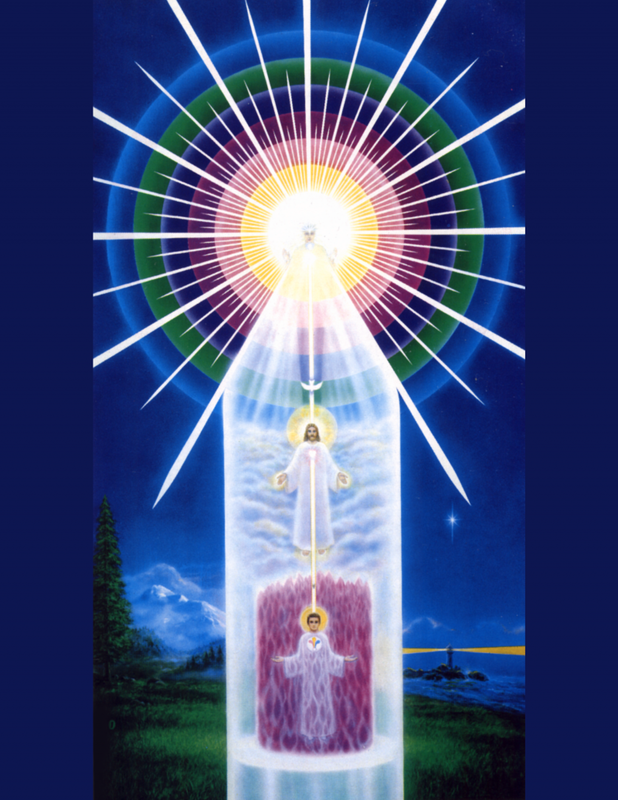 I am posting this chart of YOUR DIVINE SELF that depicts your multi-diminsional self and a series of short lectures by my beloved teacher, Elizabeth Claire Prophet, teaching WHO YOU TRULY ARE. This information is needed as the higher frequency energy waves flooding our planet awaken you to parts of yourself and dormant abilities that many have not known existed. KNOWLEDGE OF WHO YOU ARE WILL ALLEVIATE FEAR AND ALLOW YOU TO RECEIVE THIS ENERGY WITH HEART, MIND, AND ARMS OPEN TO THE LOVE THAT IS BEING REVEALED. A MOST BEAUTIFUL, PEACEFUL WAY TO START & END YOUR DAY! & HAVING MY BEING WITHIN THE LOVE/LIGHT OF MY I AM PRESENCE! 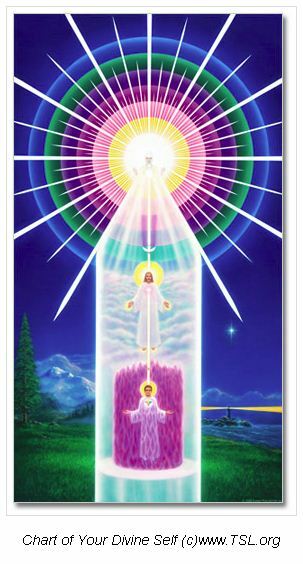 You may read about and order a wallet size Divine Self Chart (above) from: http://tsl.org/2009/10/chart-of-your-divine-self/ This chart is an excellent reminder that you are never alone … never without your Higher Self’s guidance … never without your I AM PRESENCE’s Love & Light. Filed under: Divine Self Chart, Meditation, Patricia Diane Cota-Robles |	Comments Off on A MOST BEAUTIFUL, PEACEFUL WAY TO START & END YOUR DAY!